I just read an article about Wireless Internet Service Providers(WISPs) in the US and the “Wispapalooza” conference in Las Vegas. The WISPs are obviously establishing wireless links with CPEs in areas where the incumbent DSL suppliers deliver no, bad, or expensive Internet bandwidth to the subscriber. And these WISPs seem to be quite successful: Over the last 12 months they have added 800,000 customers in North America alone. 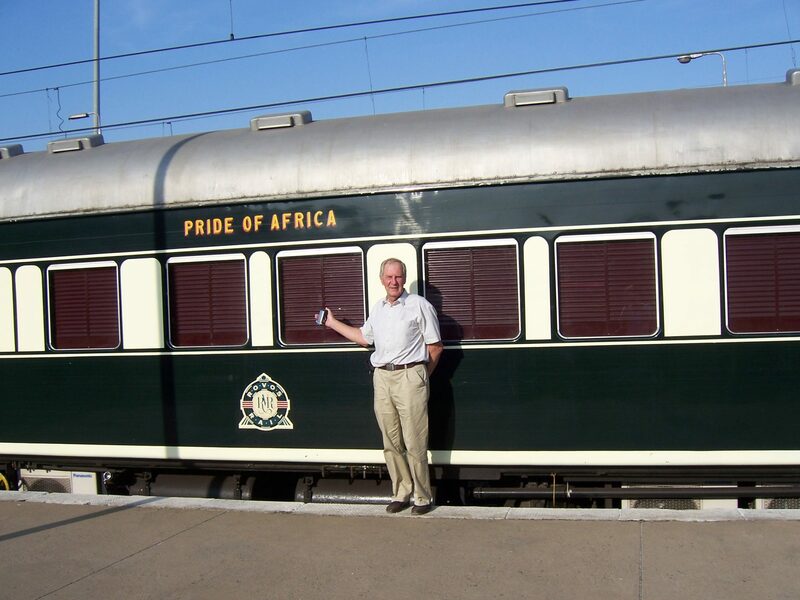 The story above and my always article-hungry webmaster convinced me to talk about my latest experience with regard to Internet accessibility when we decided to ride the “Pride of Africa” train over 3500 miles from Cape Town South Africa to Dar Es Salaam Tanzania. Well equipped with a notebook, digital still cameras and a newly bought HDTV camcorder, we started our journey, telling our relatives that this year (last year we were touring the South Sea) they will not get any pictures and we just will try to fill in the travel log which is a shared, but private, blog. When we settled into the safari lodge I lured onto the roof and into the office. They had a connection, but too weak to be shared with the guests. Anyway, we would have had no time. 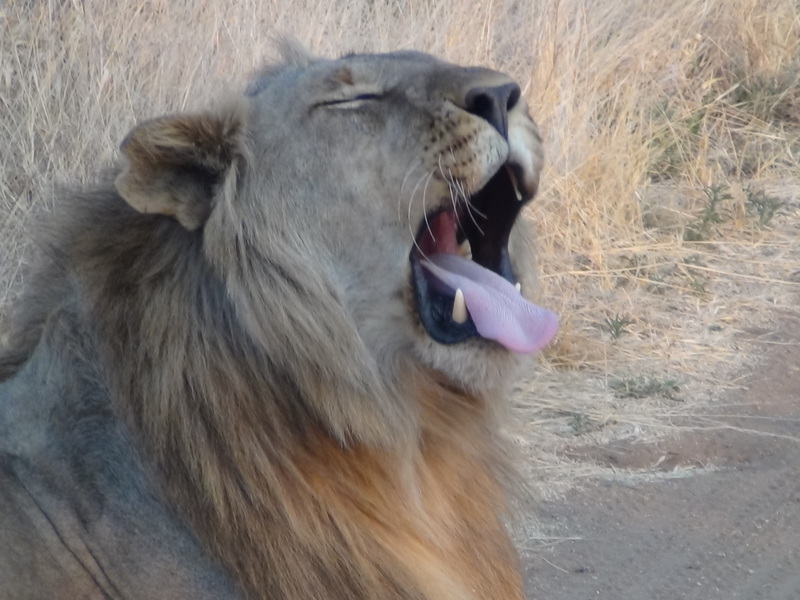 The morning safaris start at 6:00 AM and the afternoon safaris end at 7:00 PM – time for dinner and no time to play around with the notebook. We entered the train again in Gaborone/Botswana and went on a looong train ride into Zimbabwe until we arrived at the Victoria Falls Hotel. It lists as one of the Leading Hotels of the World, and when you ask for Internet, they give you immediately a wireless access code. The wall outlets are British ones – our adapters were South African style. Luckily the TV had a cable which fitted into my AC adapter! So – after the first impression in the garden of the hotel, which has a brilliant view to the Victoria Falls and the famous bridge over the lower Zambesi river – let’s hurry up and get more pictures uploaded on the Internet. But surprise surprise, the speed reminded me of the time when I connected at home via a V24 modem. Testing it, I saw 1200 kbps download speed via a network hub in Bulawayo. The upload was in the range of 500 kbps – forget about adding pictures to the gallery. We saw many mobile phone masts on our way north east through Sambia (where there was no mobile phone connection because of missing roaming agreements) and Tanzania (where we had a mobile phone connection and could do SMS – but no Internet). We also recognized a lot of advertisements from all mobile phone operators in these countries, but why no Internet? It all has to do with the backhaul. Mobile phone masts can connect to each other via wireless links and these can carry many phone calls, however, when you want to tap in with your iPhone, there is not Internet. Reason being that these bandwidth-hungry terminals would eat up the traffic of thousands of phone calls. If you don’t have fiber connections and you are not close to a network gear, you miss the luxury of your life: The Internet. Even an RJ-45 jack, an SFP+ 10 Gbps outlet, or a QSFP+ InfiniBand cage does not help, if the network behind these devices (and the high speed backplane connectors therein) are missing. So, no pictures for the loved ones at home! We finally arrived in Dar Es Salaam, where the police brass band received us with tunes from an Argentinean tango. To make a long story short, we managed to re-book our flights (being in the waiting queue of Lufthansa’s booking hotline is nerve-racking ), we were able to see our changed bookings on the web via the UMTS stick, and we flew out the same evening. Our plane was late so the next morning we had to spend 5 hours in the lounge at Zurich airport, which we used to upload the missing 80 percent of our pictures at rapid speed. I took a 400 MB video clip from his birthday celebration during the farewell evening, which I uploaded in less than 5 minutes onto my web page on my DSL line. I sent him the link and within 24 hours I had an email feedback from Chris & Leslie, stating that “they enjoyed it (the video) almost as much as the surprise birthday”. Lesson learned: Communication nowadays is not only depending on the last mile, which can be serviced by WISPs if there is no good copper in the ground or no fiber to the home. More important is the network gear behind your DSL access. If the gear is weak, you are suffering. This is also the reason,why the new LTE mobile systems will access the network gear much closer to the subscriber in order to get you the full bandwidth, whether it is for vacation, for fun, or for business reasons.